Andy Bailey: Third Year 'DFGA' Student. Hi all, my name is Andy Bailey and I am a student currently studying my second year of 'Digital Films, Games and Animation,' at Leeds College of Art. This blog will document both my progression with the set modules throughout the year, and also personal development within my chosen area of study (concept art for games). 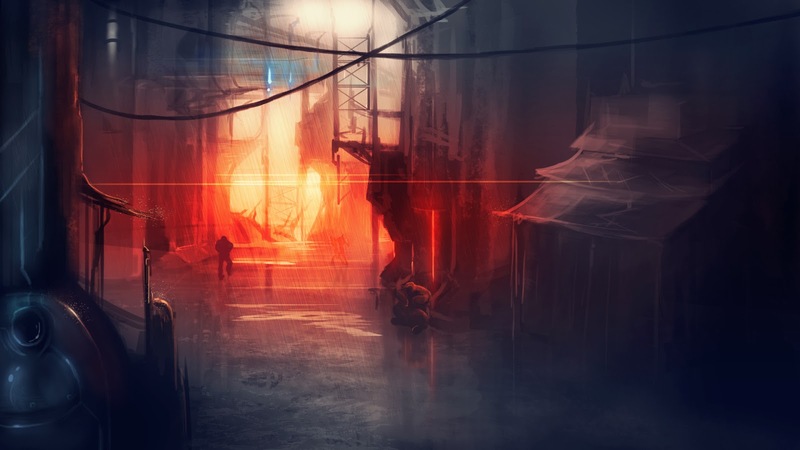 With my moodboard I included lots of stylised imagery, displaying a mix of environments and character illustrations often following the Steampunk genre. We had discussed originally creating a retro car racing game, so I included some vintage cars and Batmobiles with wacky expressive forms. 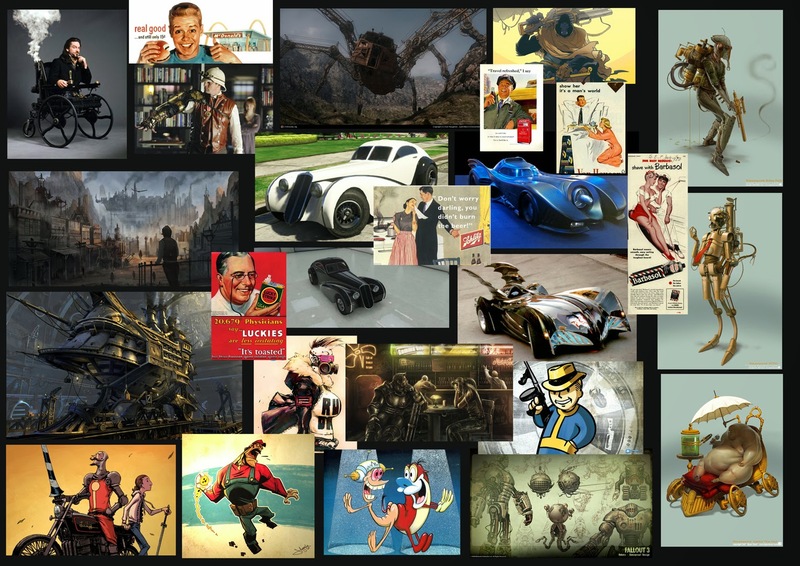 The Steampunk Star Wars illustrations down the right hand side of the moodboard give a good sense of colour and tone. You have the muted brownish colours with retro art-deco forms. I also included nostalgic propaganda adds for a comedic tone. I thought this kind of approach might help with world building, including billboards that reflect the virtual world the player inhabits. Ultimately, we decided against the car racing idea. I think the general feedback with this piece, was that it felt too futuristic, and was lacking the whole retro approach. Note that at this very early stage our ideas were still very loose, and we were just visually jamming. Like the 'The Last of Us' video, we had a very basic premise, and all we knew was that we wanted something retro science fiction.